Public voting is now open for the Native American Music Awards and The GroovaLottos and Soul Poet's Syndicate are among the Top Nominees. Best Pop Recording and Best Music Video, respectively. MASHPEE, Mass. - Sept. 14, 2018 - PRLog -- Among the Top Nominees for this year's Native American Music Awards are powerhouse soul-funk-blues band The GroovaLottos and hip-hop collective Soul Poet's Syndicate, both groups comprised of Native American artists. Soul Poet's Syndicate is a collective whose debut song and video, "FLIPPIN" has been nominated for BEST MUSIC VIDEO in the 2018 NAMAs. The song and video were produced for an anti-opioid campaign, particularly addressing the opioid crisis' effect on indigenous communities. 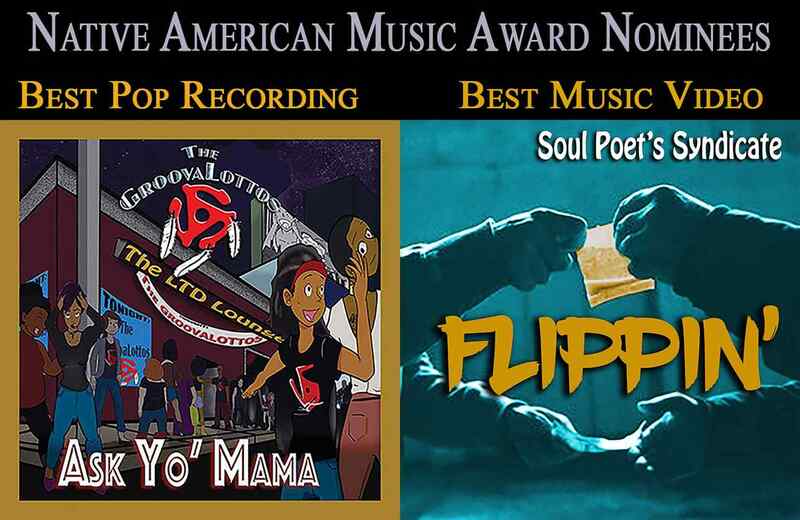 The GroovaLottos received BEST POP nominations in the 2018 NAMAs for their debut album "Ask Yo' Mama". The album also received 4 Grammy nominations in Pop and R&B. The Soul Poet's Syndicate collective includes young Hip-Hop artists from the Mashpee Wampanoag community including Young $umo, The ZYG 808, and JJ Nice. The ZYG 808 and JJ Nice in particular have been making moves in underground hip-hop. The ZYG 808's EP "At The Party" is making big waves on Spotify along with his video, "The Concerto"
Are You Ready For The Phunk Movement? If So, The PHUNK SQUAD Wants You!! !